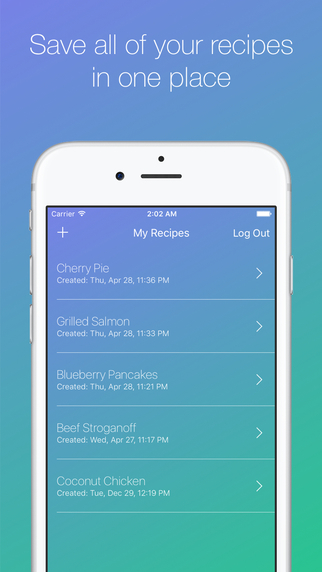 RecipeReadr will completely change the way you cook. Instead of having to repeatedly glance at your recipe while preparing an awesome dish, you can just ask your phone for the next step in the recipe without taking your eyes off of the deliciousness you're making. With RecipeReadr, you can take your recipes with you wherever you go, as they are securely stored in the cloud and are accessible on any iOS device. We make it easy to import recipes into the app: simply take a picture of a recipe or find it on the internet. Before you know it, you'll be all set to embark on your next cooking adventure! RecipeReadr was designed and programmed by Michael Royzen. In November 2015, RecipeReadr was featured in an article by BGR!